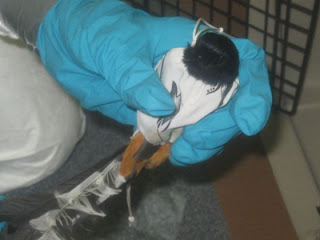 Authorities say they found 14 live birds attached to the legs of Sony Dong when he was stopped at LAX in April 2009. All of these birds survived. Two Orange County men are facing charges in federal court for conspiracy for coordinating the smuggling of live birds into the United States. Duc Le entered a plea in federal court to conspiracy and now faces a maximum sentence of five years in prison at his sentencing on June 23rd. And, Sony Dong pleaded guilty to smuggling and faces a maximum of 20 years in prison. 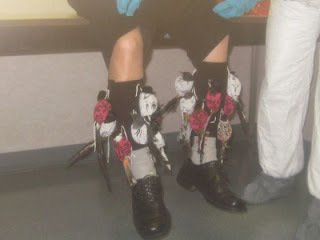 Dong admitted to flying from Vietnam to Los Angeles International airport (LAX) with 14 live birds strapped to his legs under his pants. 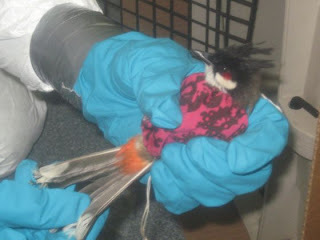 He was searched after the plane landed because birds' feathers were peeking out from his pants. Assistant U.S. Attorney Mark Williams has commented that birds from Southeast Asia commonly carry avian influenza and usually have to be quarantined before coming into the U.S. in addition to the requirement that individuals must obtain permits before bringing in such wildlife. Authorities say they found three red-whiskered bul-buls " listed as an injurious species under federal law " on Dong at LAX Airport.